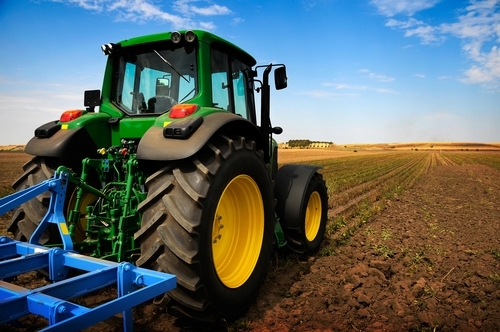 To learn more about agriculture in Israel in the 21st century, see Focus on Israel. Reprinted with permission from The AVI CHAI Bookshelf. My family had the Sukkah de rigueur when I was a kid. There was enough room for four folding tables to seat 30. The walls were brown burlap to complement the pine branches overhead. Decorations of orange and yellow gourds along with purple and browned cobs of corn hung from above. And although I enjoyed their autumnal colors and strange shapes, the significance of the dangling vegetables was lost on a suburban kid who thought anything could be found in the supermarket. “You shall hold a festival for the Lord your God, seven days, in the place the Lord will choose; for the Lord, your God will bless all your crops and all your undertakings, and you shall have nothing but joy” (Deuteronomy 16:1). Still, farming meant much more than providing a daily sustenance for Israel’s founders. They wanted to reclaim what they saw as a barren country and realize the vision of a “land flowing with milk and honey.” At the same time, the kibbutz movement spread its agricultural communes along the frontiers of the land in order to set up outposts that would one day be used in defense of the Jewish state. So when Sukkot came, the relevance of the holiday went beyond religion. It gave Israelis a chance to celebrate the agrarian enterprise and the national socialist values of the settlement movement. Israeli farmers have come a long way since the first pioneers began clearing away rock-strewn fields and draining the swampland. In the half century since Israel’s establishment, the country has almost tripled the territory used for farming and production has multiplied 16 times. About one-fourth of that output is exported. The best-known success is the Jaffa citrus fruit brand, but Israel is selling much more abroad than just oranges. One of the biggest achievements of Israeli agriculture has been the ability of farmers to utilize the country’s desert areas as greenhouses. In the same way that the Children of Israel were compelled to face the trial of surviving in the desert wilderness for 40 years, economics forced many Israel crop growers to cultivate the barren regions of the country’s southern periphery rather than the more expensive lands in central Israel. The exposure to searing hot days, bone-chilling nights and occasional flash-floods make Israel’s desert farmers experts on the experience recalled by the weeklong Sukkah sojourn. Ettner grows peppers in the Arava valley, which runs along the Israel-Jordanian border from the southern tip of the Dead Sea to Eilat. The region has become one of the most fruitful for Israeli farmers, who have learned to use the high level of sun radiation and the dry weather to grow some of the juiciest vegetables you’ll ever taste. In total, about 60 percent of the country’s vegetable exports come from the Arava region. In addition to peppers, the Arava is also known for its melons and flowers. The methods have been so successful, that Israel has exported its agriculture technology to places like Morocco and Egypt, even though they’re potential rivals for sales to Europe. The Jewish National Fund (JNF) has played a critical role in the success of desert agriculture, funding the preparation of 2,000 dunams (8,000 acres) a year for use. The JNF also subsidizes research and development stations that focus on improving Israeli technology. That’s one of the factors that helped the farmers figure out a way to make do without a critical agricultural resource that the country sorely lacks: sweet water. With rain falling only about five months out of the year, precipitation has always been a life-and-death issue in the holy land. It’s been so critical, that the rabbis who designed the prayer liturgy inserted a prayer for rain to be repeated three times daily starting at the end of Sukkot–the beginning of the rainy season–through Passover. In the desert, though, farmers have realized that if they want to thrive, prayers aren’t enough. Uri Yogev had been cultivating orchards of peaches and plums for three years on Kibbutz Revivim in the southern Negev when he realized that there wasn’t enough fresh water to make the fruits profitable. So he decided to turn to a more plentiful natural resource in the region: the underground salt-water aquifers. 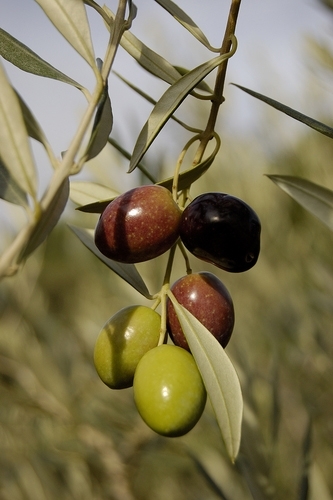 A member of the kibbutz suggested that Yogev use the brackish water to try growing olive trees–even though olives are traditionally grown in climates where rain is plentiful and the soil is rich. The results were better than they could have imagined. In five years the kibbutz now boasts the largest grove of olive trees in Israel. Yielding about 200 tons of award winning olive oil a year, the orchard is the only one in the world where olives are cultivated with salt water. “Salt has created very big and very successful trees,” Yogev said. The Israelis who thrive in the desert making it bloom with peppers, olive trees and flowers are realizing the romantic vision of the country’s founders. To walk through orchards of palm trees in the middle of wilderness is breathtaking enough to entice even a suburban couch potato. But the work isn’t for the fleeting romantic enticed by Sukkot’s outdoor existence. While desert farmers derive satisfaction from working the land, they also endure some of the most mundane tasks possible. Iddo Korman, who grows flowers on Moshav Sde Nitsan in the Negev, said he knew the farming life was for him when, as a volunteer on a kibbutz, he was given the task of weeding 800 dunams (32 acres) of fields–and enjoyed it.